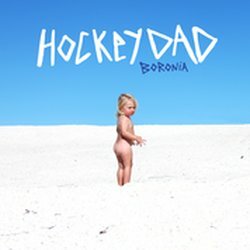 Born in the tidal pools of a southern NSW inlet, on what has affectionately become known as ‘The Leisure Coast’, Hockey Dad have now begun to grow up, spread their wings and fly even further abroad than what their island home, Australia, has permitted. The two-piece surf rock duo, made up of Billy Flemming (Drums) & Zac Stephenson (Guitar / Vox) began from humble beginnings, like most surf garage bands. However, having developed a knack for writing addictively catchy surf tunes and a live set to back it up, the pair quickly worked their way through local bars & venues and solidified themselves as the hottest new thing. Soon after, the rest of Australia was taking notice. Having signed a label deal (Farmer & The Owl / Inertia), releasing a debut EP (‘Dreamin’). Touring with some of the country’s hottest acts (DZ Deathrays, Bad/Dreems, Jungle Giants) and selling out multiple headline tours of their own. Another dreamy anthem. "This was written in my room while staring at my Endless Summer II poster, one of our favorite surf movies all the time. We found the demo from when we first started the band, and thought we'd bring it back to life for the album."